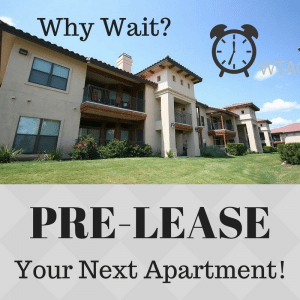 Reasons to Pre-Lease Your Next Apartment! Nov 20, 2017 | Categories: Apartment Life, Central Texas, Renter Tips, San Marcos, Texas State, and Uncategorized. Tags: apartment, apartment experts, apartment finder, Apartment Finding, apartment hunting, apartment locator, apartments, apartments in san marcos, lease, locating, locator, pre-lease, prelease, preleasing, Rent, rent tips for college students, rentals, renting, san marcos, san marcos rentals, san marcos texas, San Marcos Texas Multifamily market, student housing, student life, student living, and students. May 28, 2013 | Categories: Uncategorized. Tags: Apartment Finding, apartment hunting tips, and Apartment Locating. Check Out Our Brand New Apartment Locating Video! Jan 17, 2011 | Categories: Uncategorized. Tags: About Apartment Experts, Apartment Finding, and Apartment Locating.